What do you do when the land of your birth is not recognised by the country that provides your citizenship? I had the good fortune to be born in Palestine in 1940. I had the misfortune to be born to parents, both of whom were German citizens, and to be born at a time when the British were the governing authority in Palestine. Had my parents been German Jews, in fact, had only my mother been Jewish, the misfortune that befell us would not have occurred. In being granted the mandate over Palestine, the British were supposed to prepare that country for self-government. 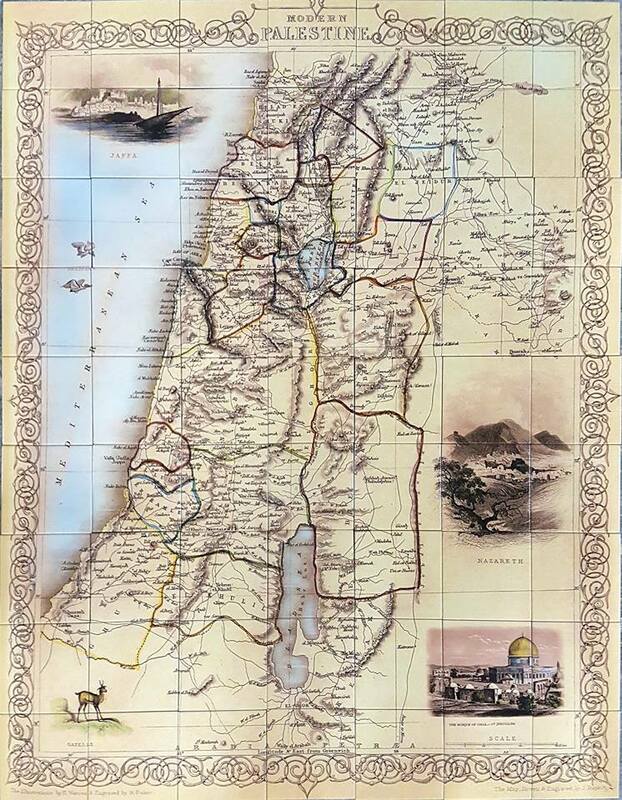 This required setting up the appropriate institutions ensuring that all the people of Palestine enjoyed the full political, civil and religious rights to which they aspired and to which they were entitled. The British never carried out the task with which they were charged. They administered Palestine in such a way that enabled the Zionist Jews to achieve their goal of creating a ‘Jews only State’ in most of Palestine. This denied the Palestinian Moslem and Christian Arabs and all other non-Jewish people living in Palestine their rights. The British incarcerated the German communities living in Palestine in 1939 and then forcibly deported them to Australia for further incarceration until at least the end of 1947, for some. Australia was involved in the UN’s proposal to partition Palestine and recognized the Jewish State of Israel when it was unilaterally declared in 1948. It did not then, nor has it since, pursued a policy of equal treatment for the Palestinians, the people rightfully entitled to the land. When I required admission to hospital in 2014 I had to complete a lengthy document containing a broad range of questions, including my country of birth. Naturally I responded with ‘Palestine’. When I arrived on the day of my admission I was presented with an electronically prepared document and was asked to check it for accuracy. The space for ‘country of birth’ was left blank. I duly entered ‘Palestine’ with my pen and signed the form as now being accurate. On being discharged I queried the hospital’s administration why Palestine was not printed in the form. I was informed that their ‘program’ did not allow for Palestine to be recorded. At the time I was too concerned with my recovery to pursue the matter further. When in June 2017 I had to undergo another medical procedure I had to complete a similar document of questions which included country of birth. Again I recorded Palestine and again on the day of admission I was asked to check the electronically prepared form for accuracy. This time in the spot for ‘country of birth’ instead of it being left blank were the words ‘none indicated’. It was a different hospital this time. The statistics gathering system clearly did not want to recognize Palestine. Again I manually wrote ‘Palestine’ and signed the form. On being discharged I pursued the matter and was told the hospital’s system could not enter ‘Palestine’. I was given a variety of explanations which I found unacceptable. It was suggested to me I follow up this matter with a number of different agencies dealing with health matters. Finally the advice given was to approach the Australian Bureau of Statistics (ABS). The response from that body was a reassurance. ‘Palestine’ was included in the ABS list of countries for statistical purposes, but not be referred to as such. Here is the response I received from the ABS. “Classification of Palestine within the Standard Australian Classification of Countries (SACC)”. If I understand this message correctly ‘Palestine’ as far as Australia is concerned is the Gaza Strip and West Bank. This is not the country I was born in. However, since the same code covers five categories, the ABS feels it has everything under control. So there you have it. Australia does not recognize Palestine and cannot provide any reason for not doing so.